The Slieve Bloom Mountains, southeast of Birr. Ireland's forests disappeared to varying degrees starting with the early CE invasions of the Vikings and Normans, and the island was pretty well denuded of trees by the mid-1800's, in the aftermath of the famine. 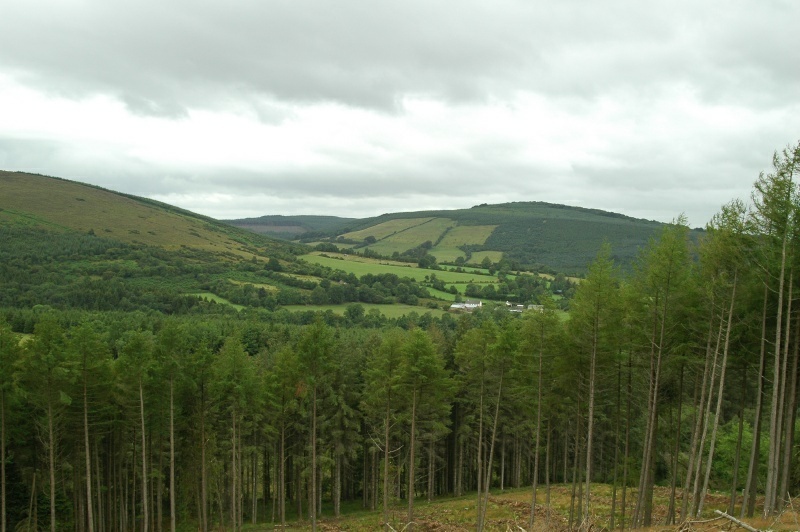 Reforestation is aggressively under way now, though, as manifested by this view from the middle of the Slieve Bloom mountains.